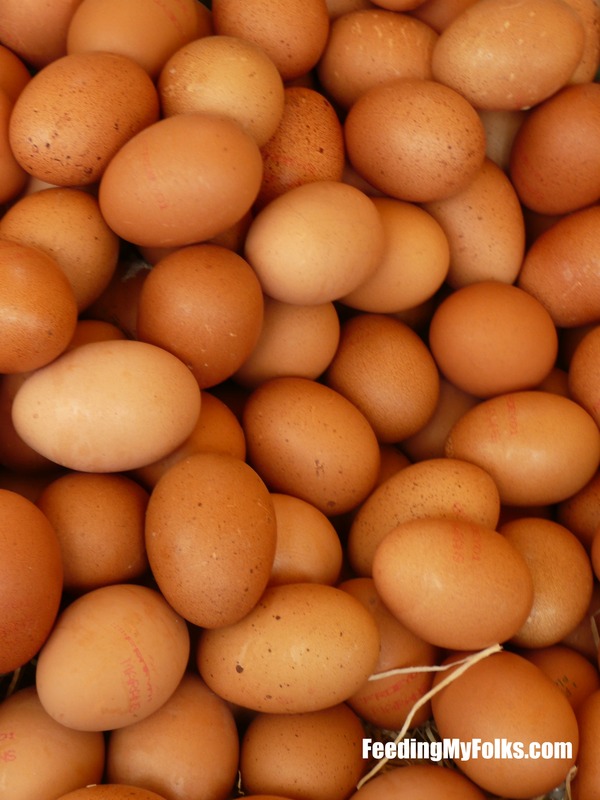 A large sized egg supplies 12.6% of your recommended daily value of protein. It has the highest quality of protein found in any food – one egg equals one ounce of lean meat, poultry, fish, or seafood. Symbolically, the egg stands for rebirth, renewal, fertility, and life. Check if your egg is raw or hard-boiled by spinning it! The hard-boiled egg is solid and will spin, whereas a raw egg will wobble due to the liquids in it. Before refrigeration, ancient Chinese people would preserve/store eggs in salt and wet clay, cooked rice, salt and lime, or salt and wood ashes mixed with tea. Cold eggs are easier to separate than warm eggs…so if you need just the yolk or white, keep them chilled before use! If you need to beat the eggs whites, beat them at room temperature. Room temperature egg whites will yield a fluffier result. Eggs are good for your brain, heart, and cholesterol. They help prevent blood clots, cataracts, and inflammation. Eating eggs for breakfast also help you lose weight. Brush egg whites onto your face, allow to dry, and then wash off – homemade facial! The size of an egg is related to the age of the hen – the size increases with age. The egg carton was invented in 1911 by Joseph Coyle in Smithers, British Columbia. They were originally made out of paper. The color of the eggshell doesn’t usually affect quality or taste; it is just determined by the breed of hens. In a region where white eggs are more popular, brown eggs will be more expensive due to lower production (and vice versa). Blue eggshells are considered the strongest, but are hard to find due to weak demand. One of the most common food allergies for infants is eggs. They usually grow out of it. Eggs are often thrown in protest because they are inexpensive, but create a large mess. In China, red eggs are given out to celebrate the one month birthday of an infant at a red egg and ginger party. Eggs are also sometimes sent out to announce the birth – an even number if it’s a boy, an odd number if it’s a girl. There are roughly 280 million laying birds in the US. Each one produced anywhere from 250-300 eggs per year. This equals around 75 billion eggs, or 10% of the world supply. Hens lay most of their eggs between 7 and 11 am. It takes 24-26 hours to produce an egg. The hen gets about 30 minutes of rest before the process repeats all over again. Because the eggshell is porous, eggs can absorb odors from the refrigerator. To prevent this from happening, refrigerate eggs in their carton. A chef’s hat traditionally has 100 pleats to represent the number of egg dishes they should be able to create. In cooking, the word “eggs” almost always refers to chicken eggs unless otherwise noted. Some other varieties of eggs include duck, geese, quail, gull, guineafowl, pheasant, emu, and ostrich eggs.